How To Download or Delete Your Entire Google Search History:- Are you a bit drawn to yourself? Can’t let anyone else get too much into your privacy, and that includes Google too? Well, you might want to download a copy of your searching history and then delete it from the Google servers. Exactly at the right place at the right time. 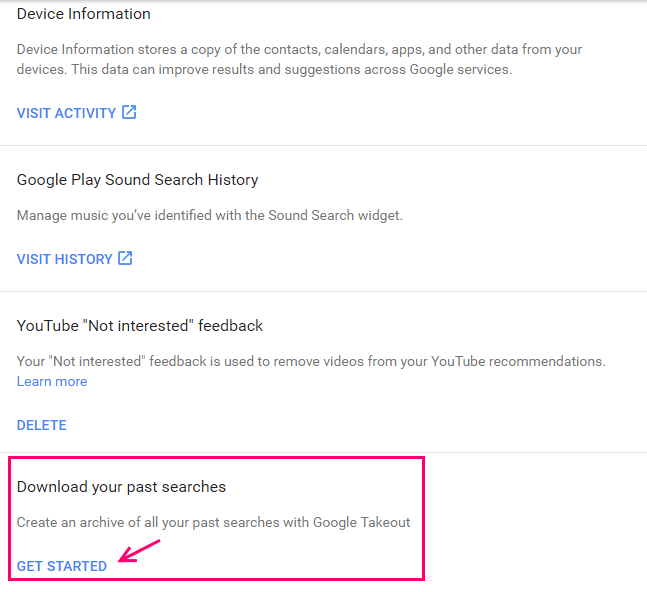 Dig into the article to learn how to download and delete your entire Google search history in a very few number of steps. Firts and foremost, login to your Google account. Once done, click on Web & App Activity. When the page opens up, find and click on the 3 dotted Settings icon from the top right corner. 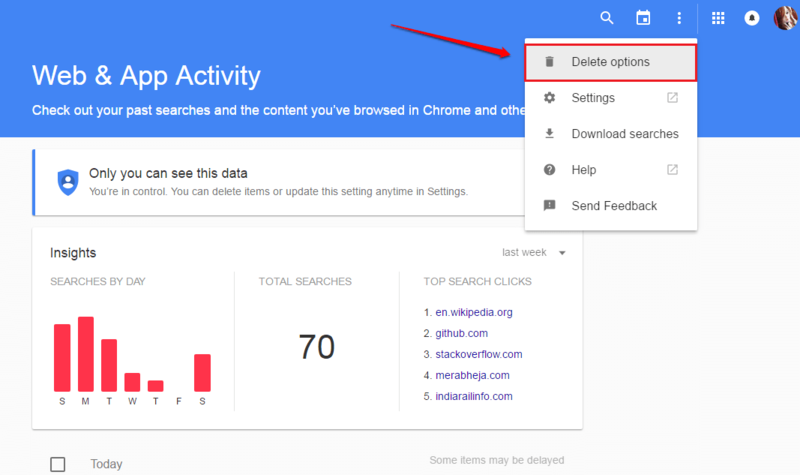 From the context menu that gets expanded out, find and click on the option named Other Google activity. Now, click on Get Started. 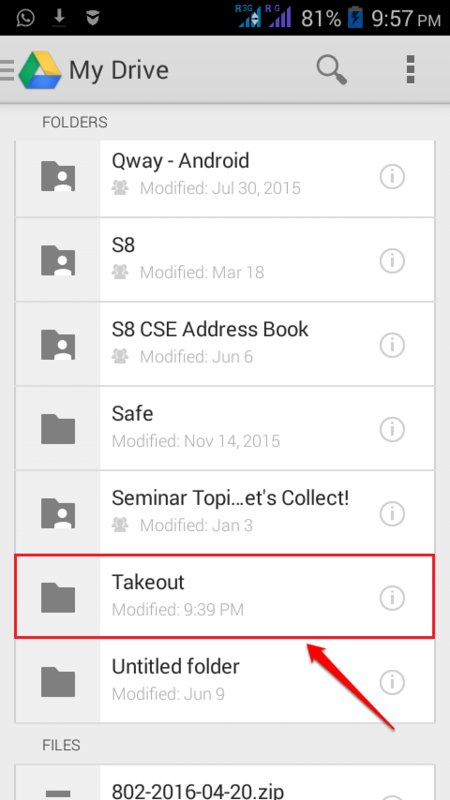 A new alert with the title Download a copy of your data opens up. Click on the button named CREATE ARCHIVE as shown in the screenshot given below. 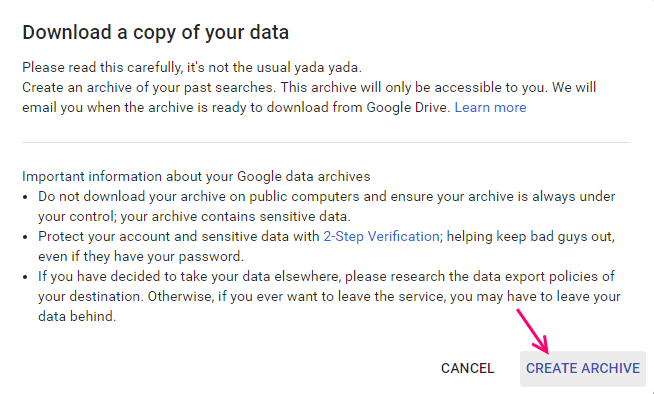 When your archive is ready, Google will send a mail to your primary email id with a link to view your search history file in Google Drive. Click on the link and you will now be taken to the Takeout folder, from where you will be able to access your entire Google search history. 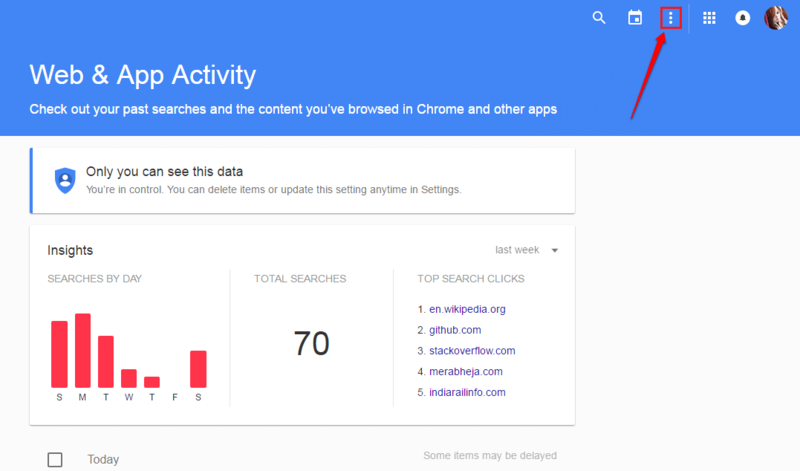 If you want to delete your search history rather than downloading it, simply go to the Web & App Activity page as before. Click on Settings icon and now on the entry Delete options. 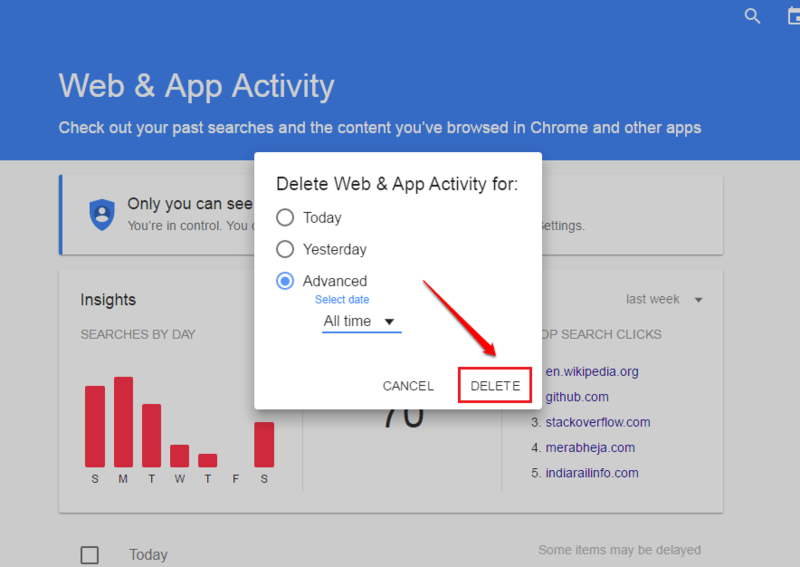 Now you can select the All time option under the Advanced section to delete all your browsing history. Once you are all set, click on the DELETE button. That’s how simple you can download and delete all your browsing history. If you are stuck with any of the steps, feel free to leave comments, we would be happy to help. Hope you had fun reading the article.